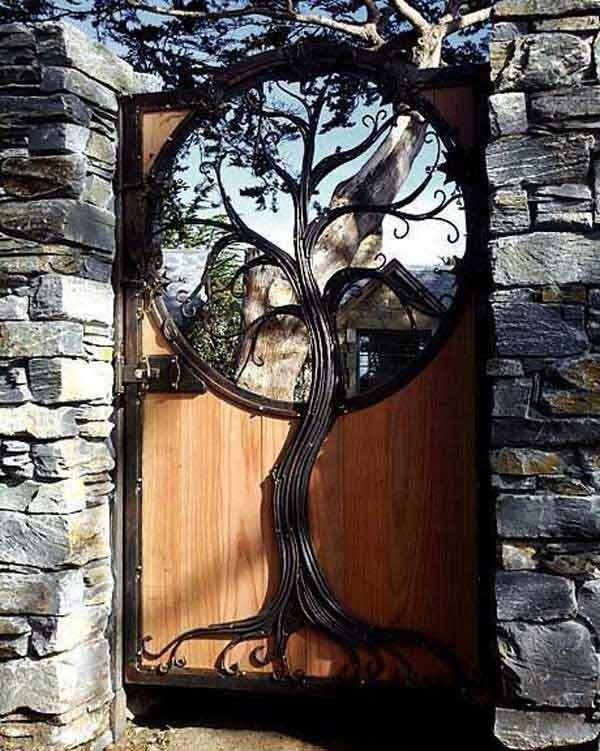 I love everything about this gate: the mixed use of metal and wood, the mandala window, the tree with is filigree roots and branches, and the placement of the gate within the stone wall. The whole thing feels enchanted, as if what we are about to experience when we enter will be mystical and magical. Sadly I lack any information about this image. If anyone happens to know where this is, the artist who created it, and/or the photographer, please feel free to share in the comments. I’m often asked what medium do I prefer to use to create my mandalas…like this gate, these days I prefer a combination of media…why limit myself to just one?